While we take a few days off to celebrate our country’s birthday, you are welcome to enjoy the enclosed music at your summer party. See ya! So I’m sitting here thinking, “what kind of post would be good to follow a review of Madonna’s concert?” Of course – country music! One dozen of the best, coming right up. Burn Your Playhouse Down is an album of duets with George Jones and a Rolodex of his musician buddies, some of whom are also country music singers. For my money, George Jones is one of the greatest of all country singers even now, his 55th year in show business. Burn Your Playhouse Down collects previously unreleased 12 collaborations with people like Mark Knopfler, Keith Richards, Leon Russell, Vince Gill and Shelby Lynne. And it’s pretty good: at age 77, Jones favors the duet format because it takes some of the pressure off him carrying the song all by himself. The fact that they were unreleased is telling – these songs didn’t make it for reasons obvious upon listening. Many were recorded in the late 1980s – early 90s and are either overproduced or just plain crappy. 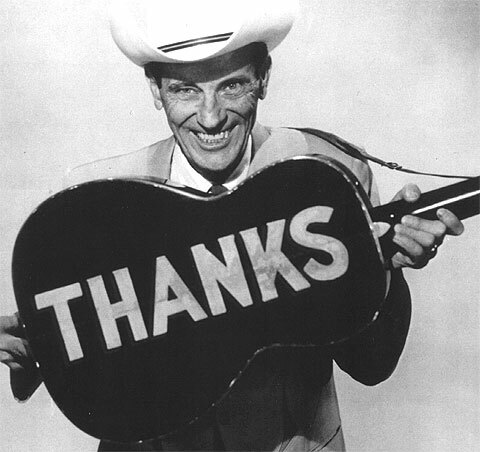 Despite the lackluster material, Jones and his guest stars manage to wring vocal highlights out of a few tunes: both Richards and Jones could have been drunk when they cut the title song and it’s great fun and really the only one here that evokes Jones’ peak, boozing party days. Revisiting “You’re Still On My Mind” (originally a 1960s Jones hit but most famously covered by the Byrds) with Marty Stuart is a good move; so is the uptempo “Tavern Choir” (although its tune is scarily similar to “The Gambler”) with Jim Lauderdale. Mark Chestnutt and Shelby Lynne fare most poorly, maybe their dull duets should have remained unreleased. 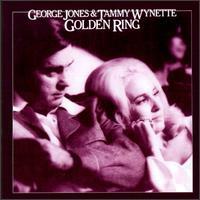 The cuts of most interest are the closing track, “Lovin’ You Lovin’ Me,” a 1977 outtake with then-wife Tammy Wynette, and the 2007 “You And Me And Time,” sung with George and Tammy’s daughter Georgette Jones. 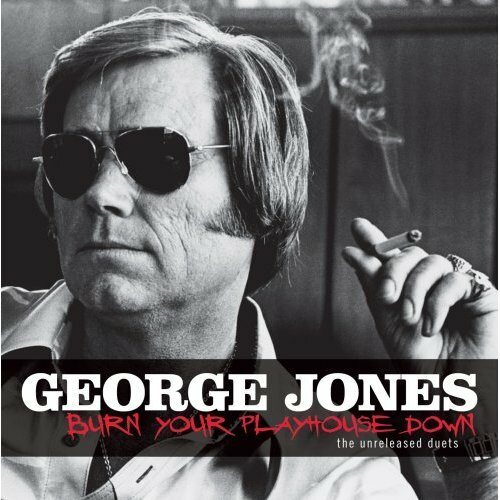 Take it or leave it – at its worst, Burn Your Playhouse Down still features the great George Jones. In my book, that’s always a plus. 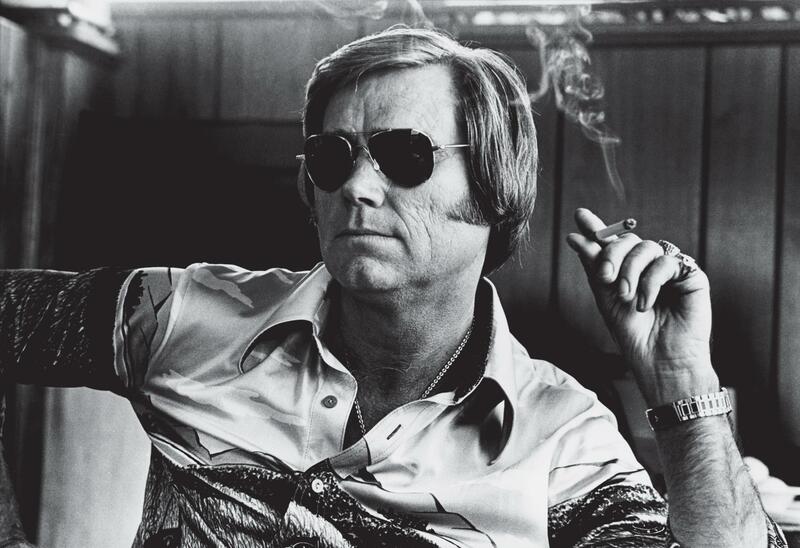 UPDATE: On Friday, Sept. 12, George Jones will be 77 years old. Check this out.